We are a team of scientists and engineers working together to solve key challenges that the world is facing. We focus on using machine learning to optimize complex decision making and reduce inefficiencies. At present we are successfully deploying our machine learning techniques to optimize the electricity grid by improving advance planning of electricity production and distribution, resulting in decreased economic waste and environmental damage. Reduced CO2 emissions and pollution. Improved reliability of the grid. Less waste and increased economic efficiency. We use machine learning to improve the operational planning of electricity production and distribution, improving reliability, efficiency, transparency, and pollution. Electricity can not be efficiently stored. Power lines and transformers have limited capacity to carry power. Equipment on the grid can fail unexpectedly. Power generation is not scheduled accurately. Power use is not accurately anticipated. Electricity supply and demand must be balanced at all times. Power lines get congested when nearing thermal limits, which means that power to serve some location must be sourced from more distant or expensive generators. Sourcing power from alternative sources to meet the unexpected demand, is expensive and can be operationally risky. Tapping into environmentally unfriendly sources leads to increased greenhouse gas emissions and pollution that is harmful to human health. Increased reliability of the grid by helping create a better plan for one of the most complex systems ever created. Decreased greenhouse gas emissions and harmful pollution. Reduced waste and improved economic efficiency leading to lower electricity rates for those most in need. Electricity cannot be economically stored at utility scales. Supply and demand must be balanced at all times, and the structure of the transmission grid massive amounts of inefficiency. In order to deal with these issues, and to ensure reliable access to power, the global standard is to centralize control under System Operators, who coordinate the grid for electric utilities. The efficiency of the electricity grid is also of fundamental importance for achieving lower carbon emissions, and reducing the impact of coal and natural gas pollution on human health. Electricity is the source of 25% of global CO2 emissions and billions of dollars in economic waste. The US electricity sector alone emits 2 billion tons of CO2 yearly, accounting for 38% of the country's total energy related CO2 emissions (2013)٭, power plants were responsible for 64% of SO2 emissions,16% of NOX emissions, 40% of CO2 emissions, and 68% of mercury air emissions in the US. The human health impacts are on par with traffic accidents. Already successfully deployed from coast to coast in North American electricity grids, Invenia is actively growing and looking at expanding electrical grid optimization work globally. We interact directly with the grids, helping to plan for generation, flow and use of electricity in advance of real time operations. We help the system operators to optimize the power grid to ensure reliability, efficiency, transparency, while reducing harmful emissions. We are a team of scientists, researchers and developers that come from machine learning, engineering, computer science, economics, theoretical physics, mathematics and management. 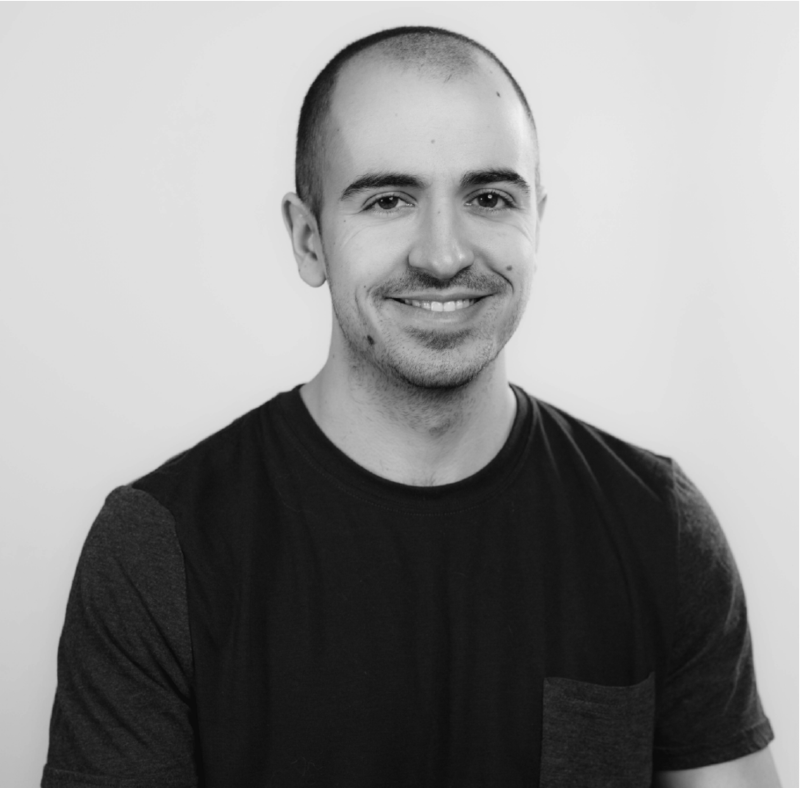 Matt co-founded Invenia, and has been CEO from the start. 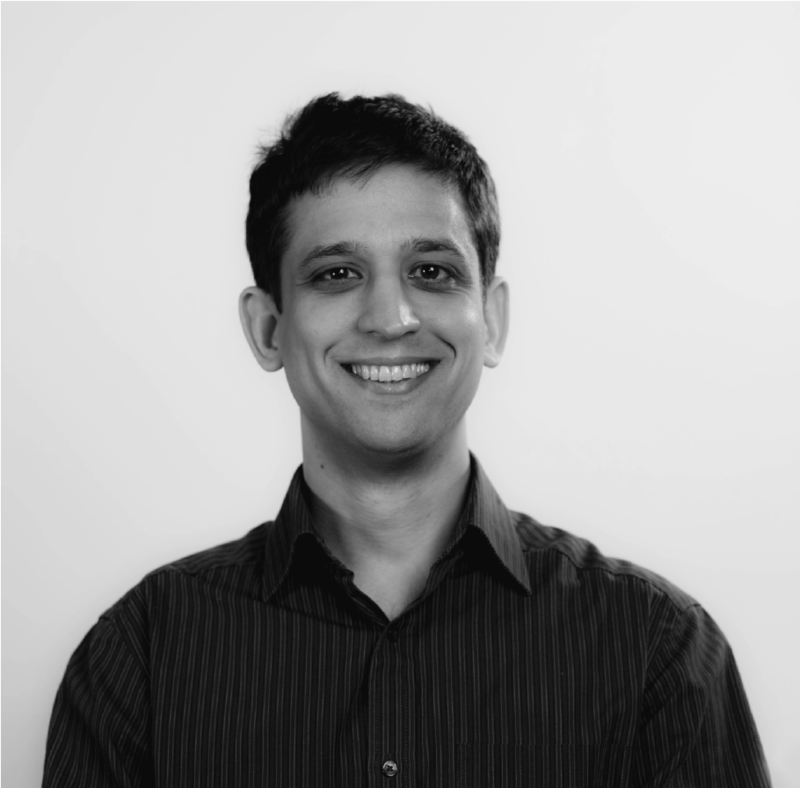 He started Invenia while at Microsoft, after majoring in political science and economics with additional studies in computer science and engineering. He has developed a deep knowledge of the electrical grid, complex networks, and machine learning. 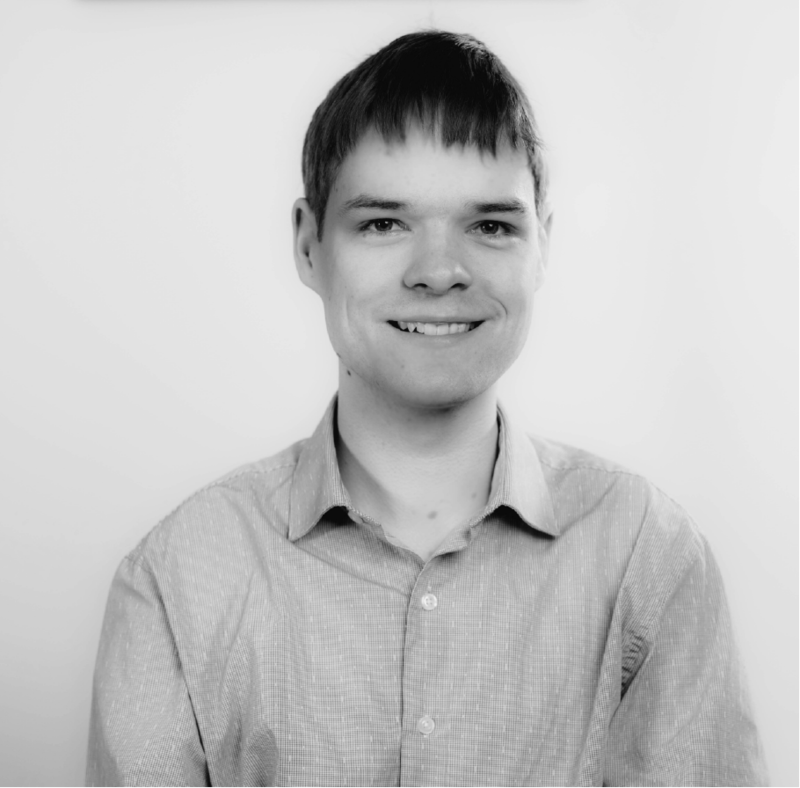 Christian completed his PhD under the supervision of Prof Sir David MacKay at the University of Cambridge (UK), and is a specialist in machine learning. He has led engineering projects in artificial intelligence, data compression and probabilistic programming. Christian believes that building intelligent technology is our best hope for making the world a better place. 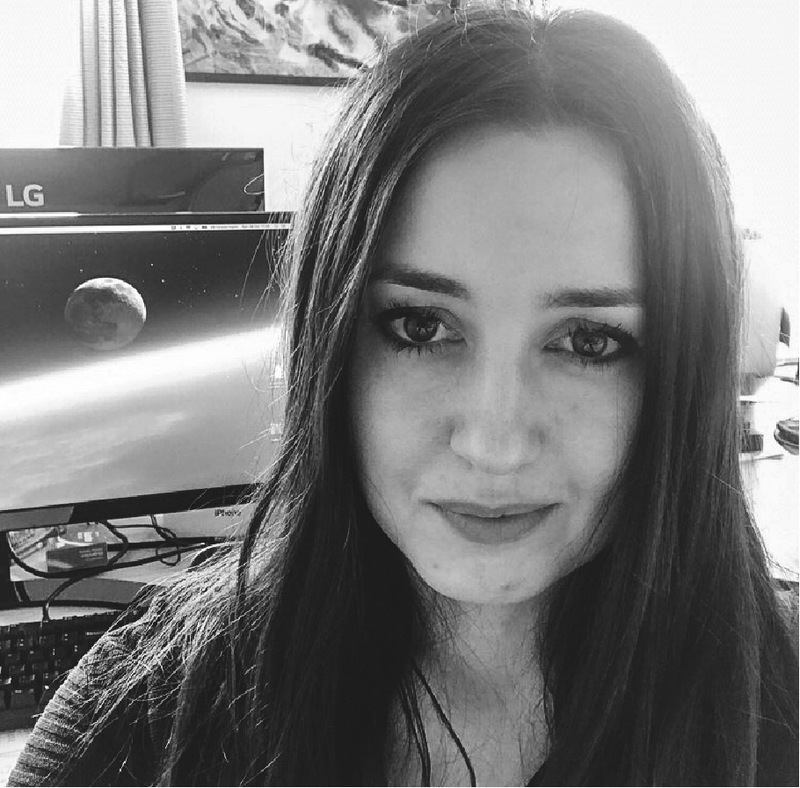 Oksana is a co-founder of Invenia and is currently the Chief People Operations Officer, overseeing operations in Canada and the UK. She attended the University of Manitoba and Red River College, where she studied Business Administration, and Anthropology as a post-graduate. 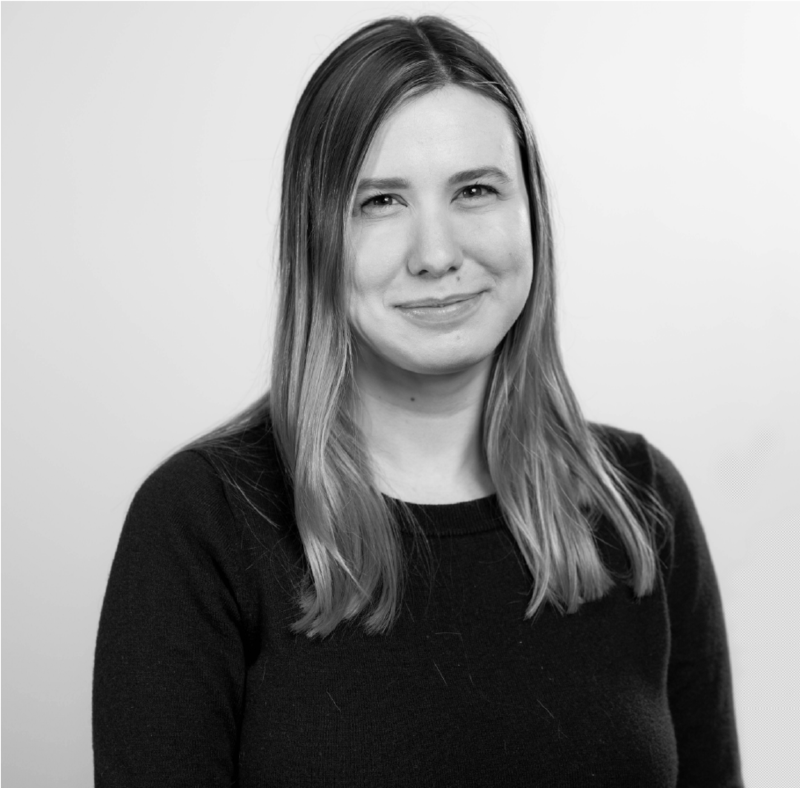 In her spare time, she also pursues research interests in Machine Learning and Archaeology. 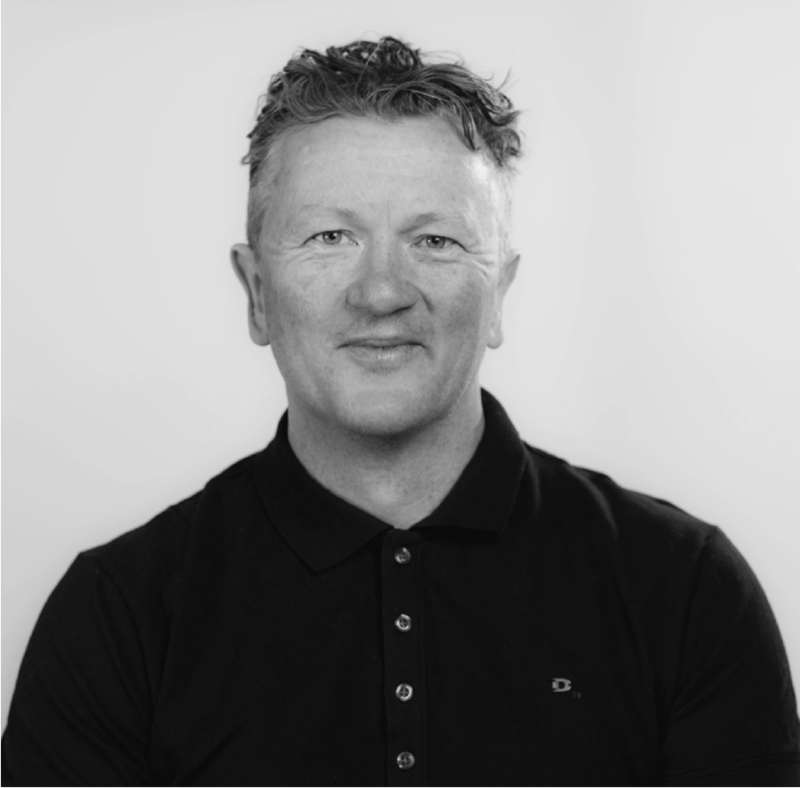 Cozmin is a co-founder of Invenia, and is currently Managing Director of Invenia Labs in Cambridge and Chief Science Officer. He received his PhD in the foundations of quantum theory from the University of Waterloo, and is still puzzling over the quantum world in his spare time. 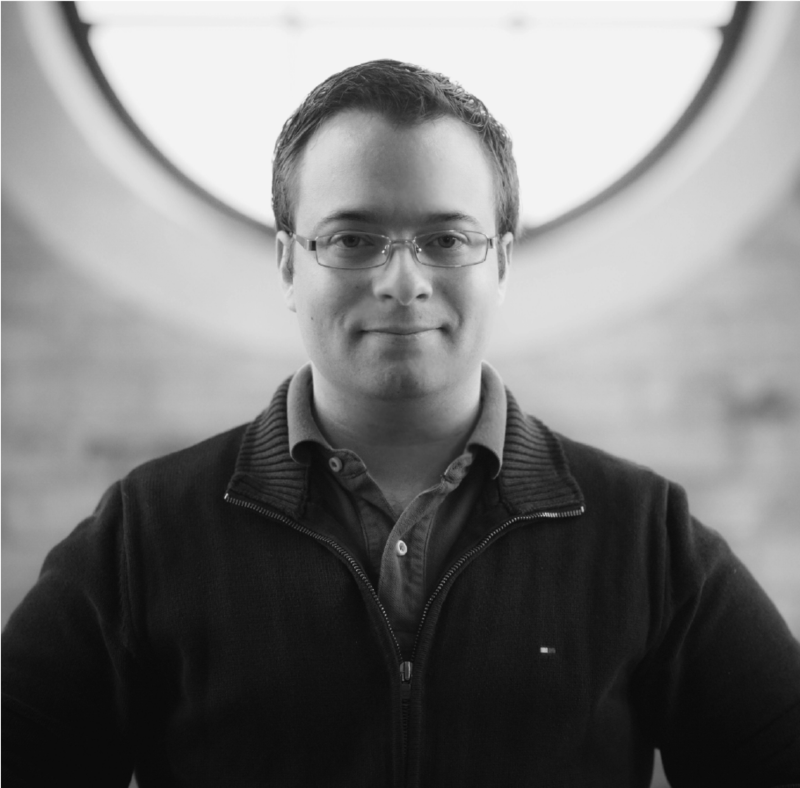 David is a co-founder of Invenia, and assistant professor in computer science and statistics at the University of Toronto. He received his Ph.D. in machine learning from Cambridge University. He has also worked at Google Research, the Max Planck Institute for Intelligent Systems, and the Harvard Intelligent Probabilistic Systems group. 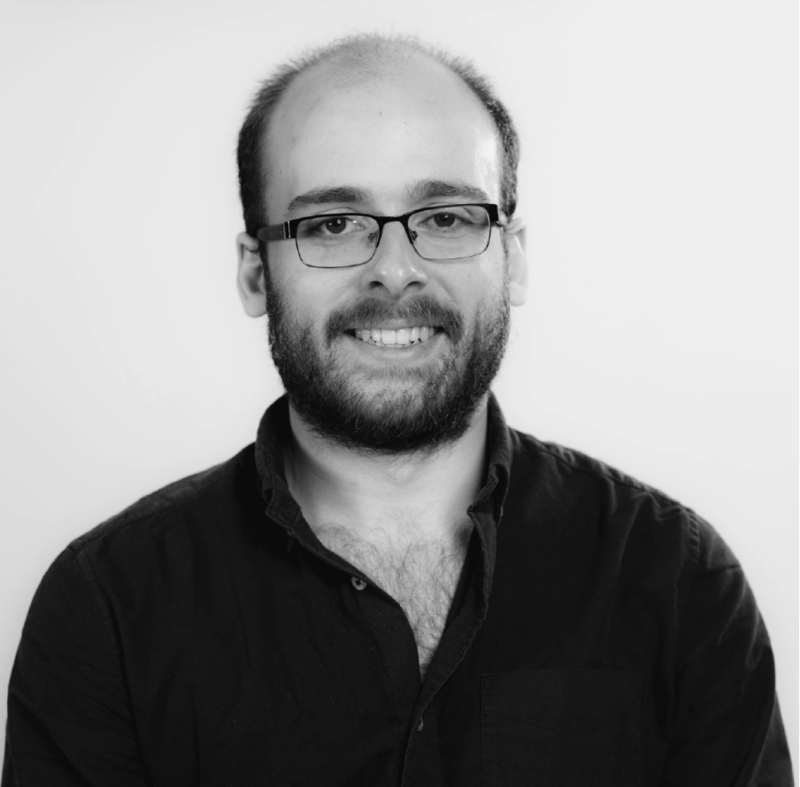 Alex has a PhD in Biophysics from Oxford University, where he worked on applying machine learning techniques to model biological data. 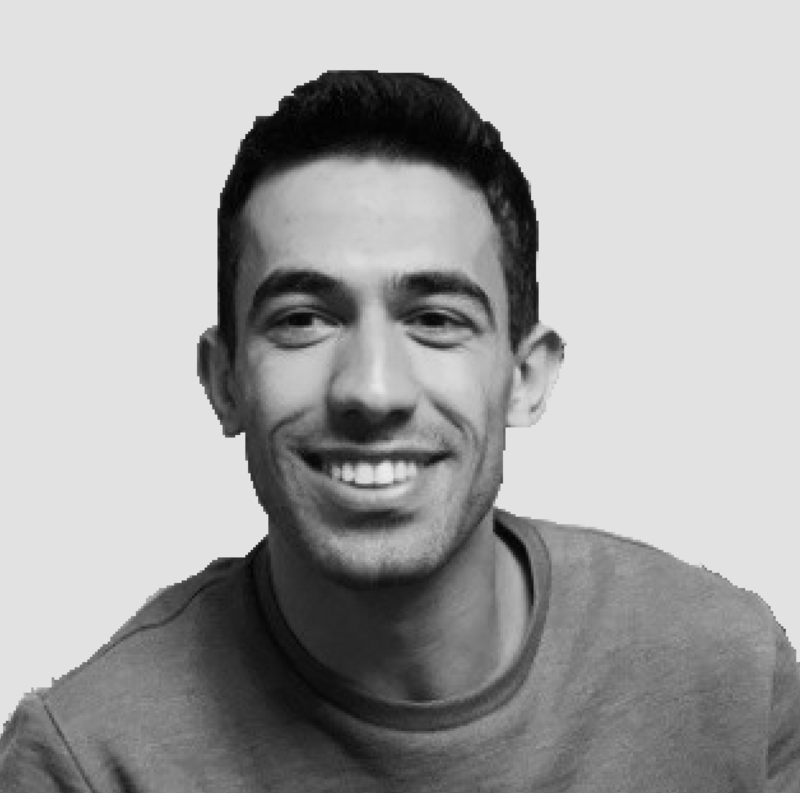 Since then he has worked on different applications of ML, one for a startup in the energy sector and most recently risk models in fintech. In his spare time, he can be found playing board games, and occasionally hacking around on personal ML projects. Bella got her PhD in engineering from the University of Cambridge, where she developed advanced signal processing techniques, including many based on Bayesian inference, for magnetic resonance applications. 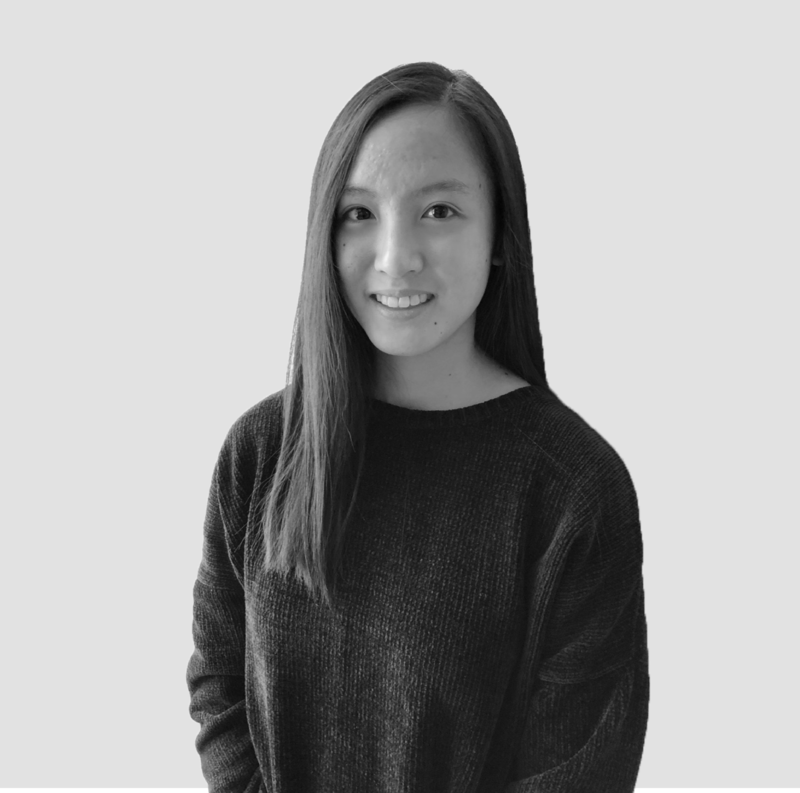 Before joining Invenia, Bella worked at a startup on building energy models that provide forecast and analysis for use in hedging, trading and investments. 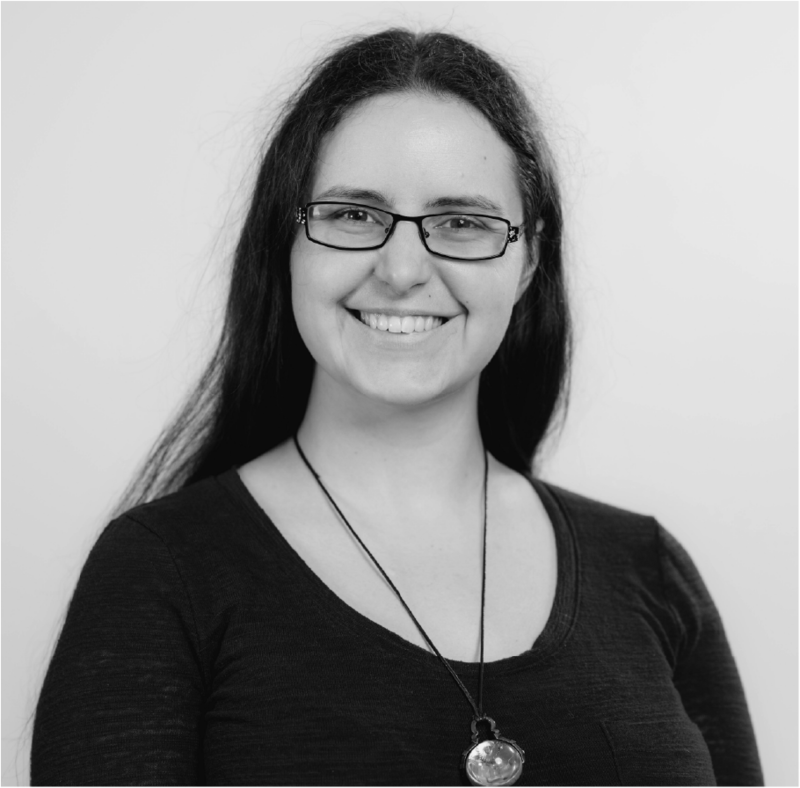 She is interested in combining mathematical modelling and machine learning with fundamental theories in fields such as engineering and economics to gain unique insights into complicated systems that have a significant social impact. 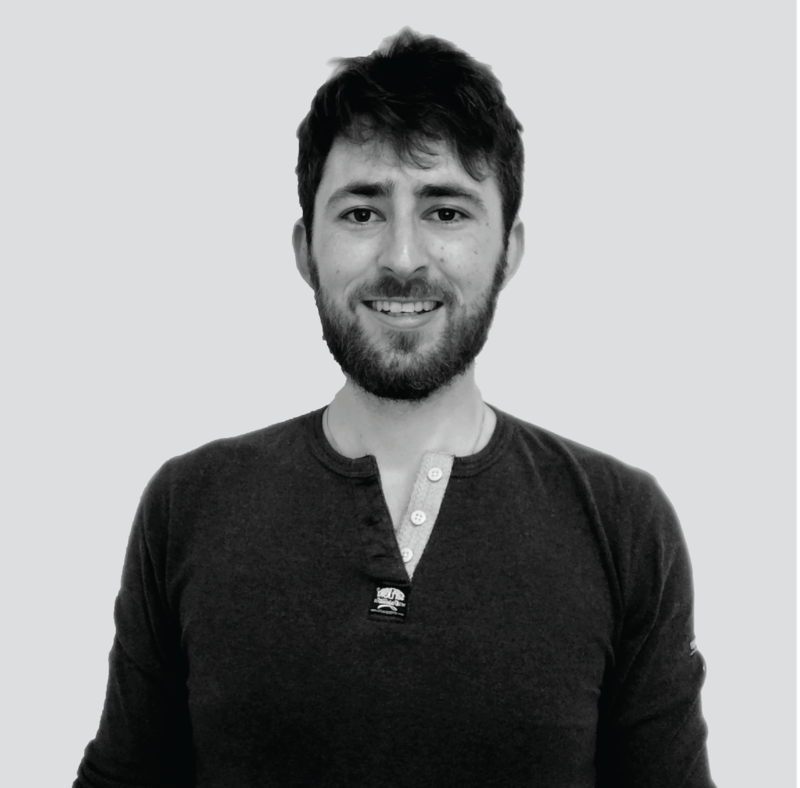 Brendan is a developer and a documentarian at Invenia. Whether writing docs or infrastructure code, his goal is to make it easier for others to be able to do their work. Bruno was born and raised in Quito, Ecuador where he completed his school studies and then moved out to the United States for university. He graduated from Trinity University in San Antonio Texas studying marketing and finance. He is extremely passionate about sports, meeting new people, learning, as well as exploring other cultures and traveling. He loves challenging himself every day to meet his goals and objectives. 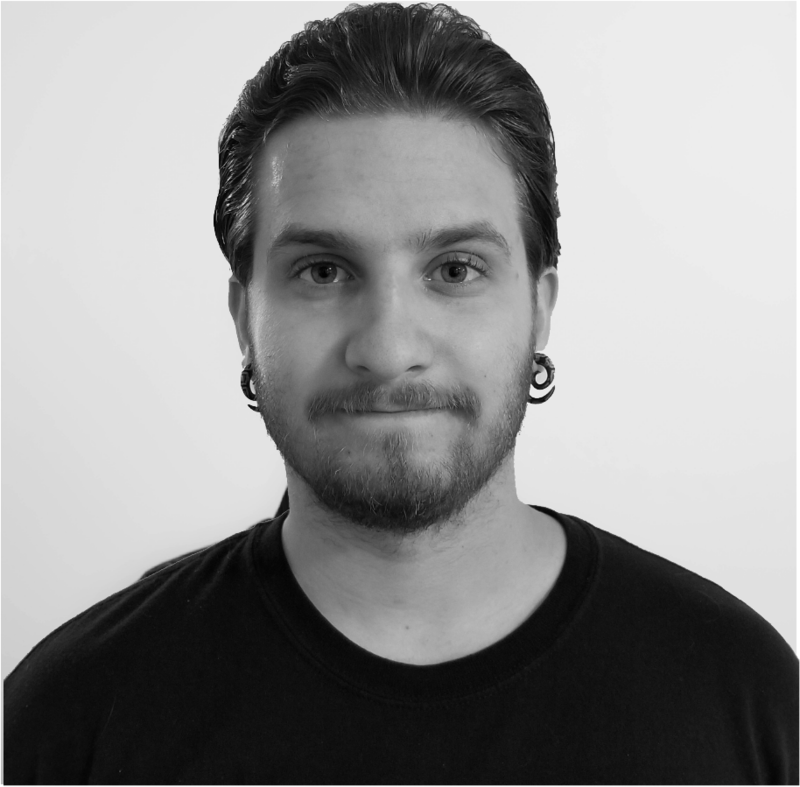 Cameron originally joined Invenia as a co-op student from the University of Manitoba. An enthusiastic reader, Cameron enjoys a wide range of topics. From the sagas to The Guns of August, he likes to spend his free time with a good book. 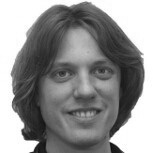 Chris was formerly an Assistant Professor in Energy Informatics and Modelling at the University of Groningen. 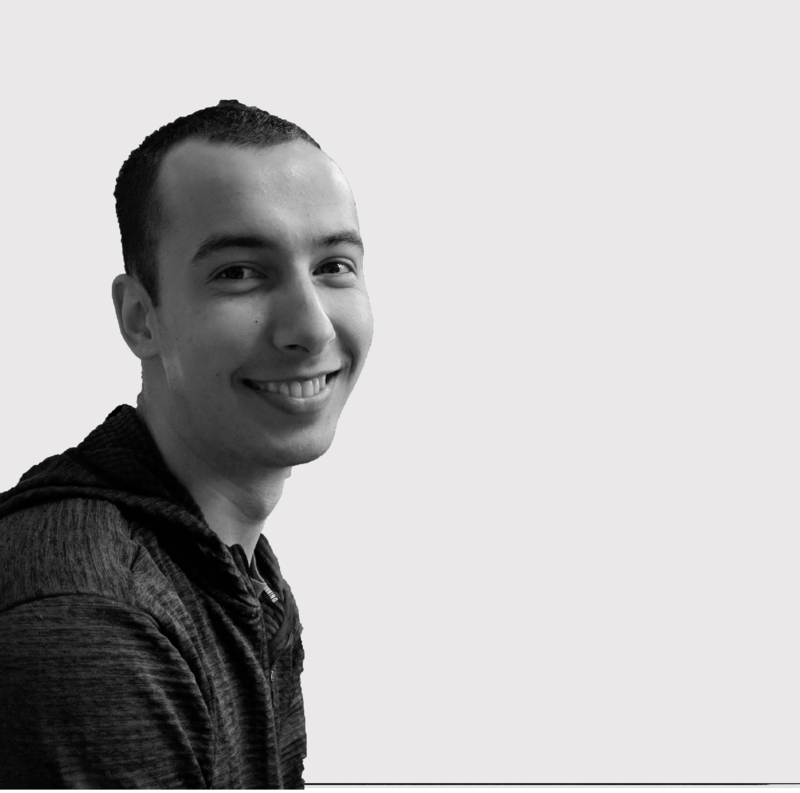 He received his PhD at Delft University of Technology, and his work covers topics related to Energy, Sustainability, Linked Data, Machine Learning, Data Visualization and Agent Based Modelling. Here are a few papers published by Chris: 1. Secondary Resources in the Bio-Based Economy: A Computer Assisted Survey of Value Pathways in Academic Literature 2. Electric vehicle charging in China’s power system: Energy, economic and environmental trade-offs and policy implications 3. The state of the states: Data-driven analysis of the US Clean Power Plan For the rest of Chris' published work, please refer to his Google Scholar profile. 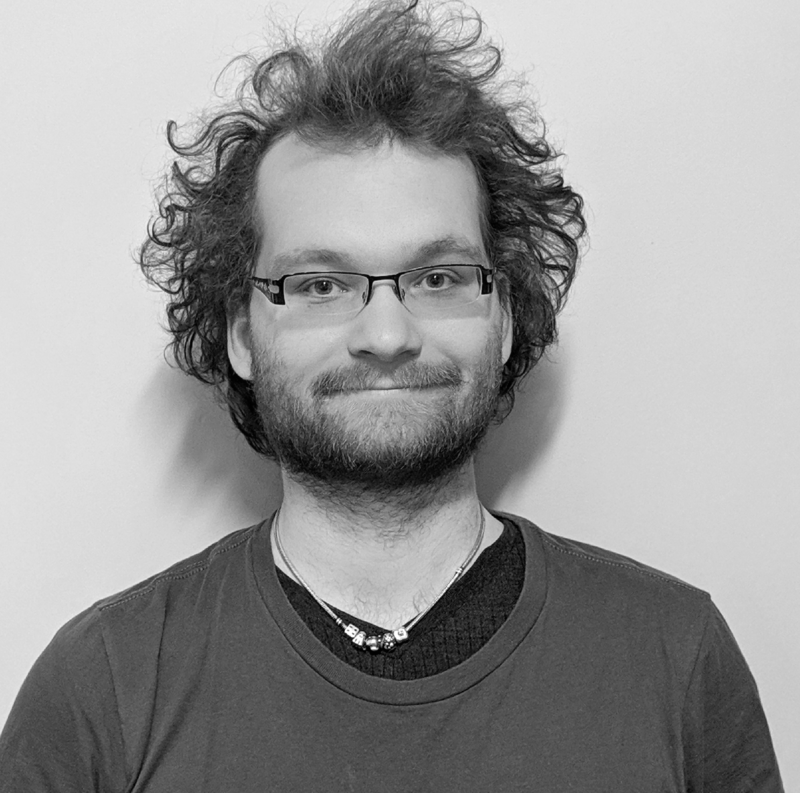 Chris is in his fifth and final year of computer science at the University of Manitoba, where he studies AI and theoretical CS. He’s been involved with a bit of everything, from software development to infrastructure to research. Outside of school and work, his interests include endurance sports and sustainable transport. Cole Peters and is a 4th year Computer Science Student at the University of Manitoba. He is currently a Co-op at Invenia, planning to graduate in April 2019. He was born and raised in Winnipeg. Some of his favourite pastimes include swimming, fishing, nature walks, and watching sports, specifically the Winnipeg Jets and Blue Bombers. 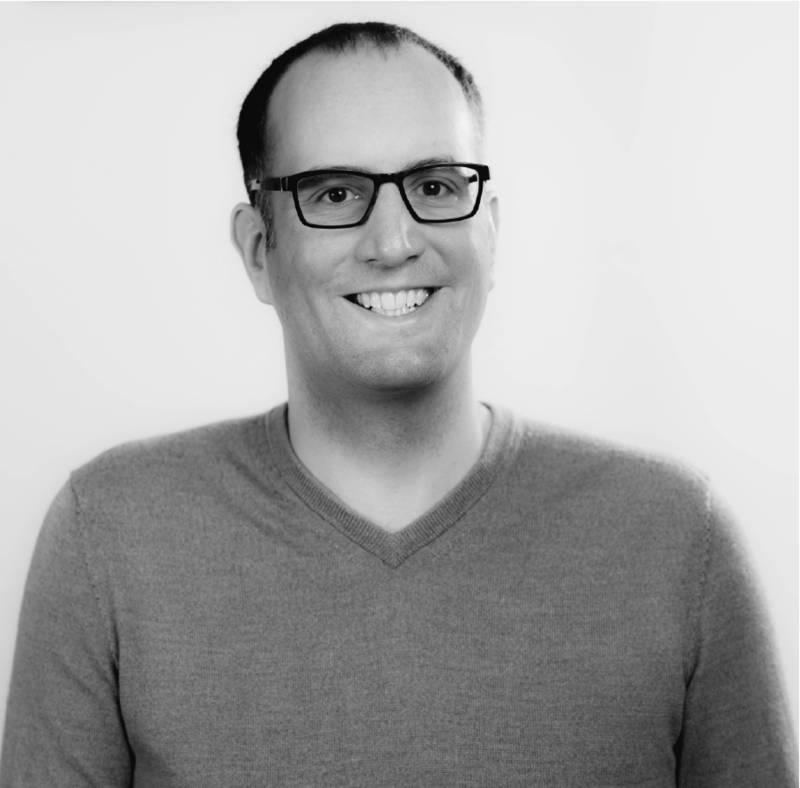 Curtis works on managing, architecting, and developing the next generation of Invenia's EIS. 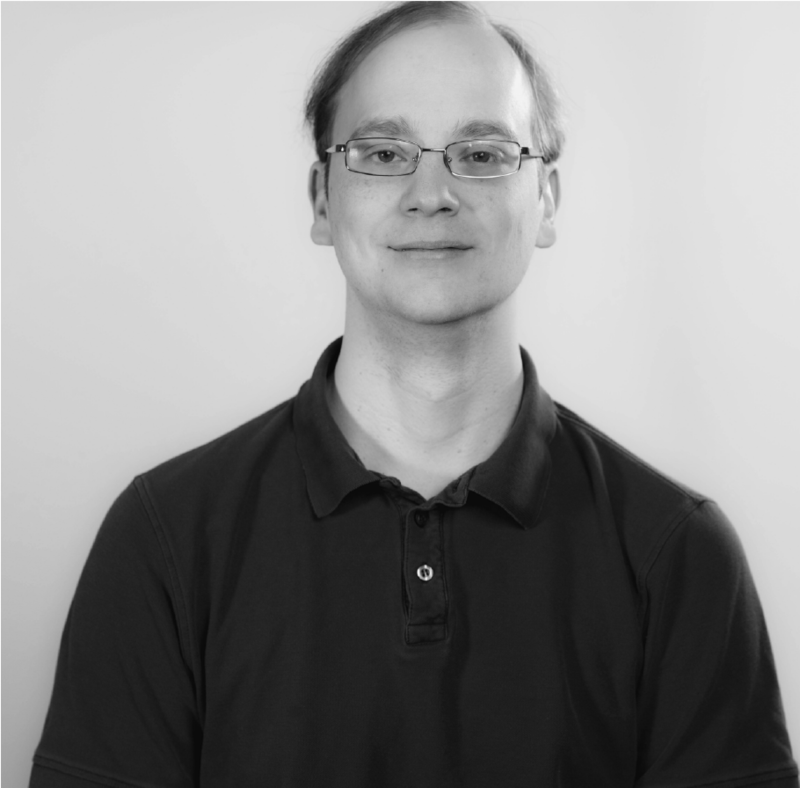 He also is a contributor and advocate for the Julia programming language. Diljot is a computer science honours student in his third year of study at the University of Manitoba. He has previously held positions as an Undergraduate Researcher in the Human-Robot Interaction Lab before beginning his co-op term at Invenia. During his time as an undergraduate researcher, he was involved in several projects and is now published. In his spare time, he especially enjoys watching Marvel movies (among others) and hanging out with friends! 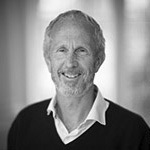 Doyne works with Invenia as a research advisor. Professor in the Mathematical Institute at the University of Oxford, and an External Professor at the Santa Fe Institute. His current research is in economics, including agent-based modeling, financial instability and technological progress. He was a founder of Prediction Company, a quantitative automated trading firm that was sold to the United Bank of Switzerland in 2006. His past research includes complex systems, dynamical systems theory, time series analysis and theoretical biology. 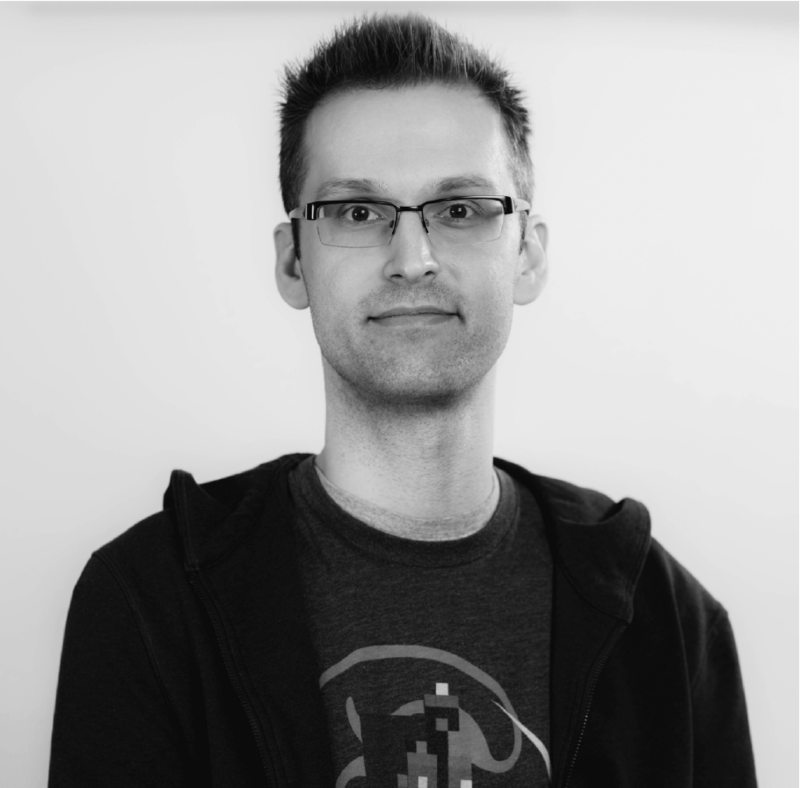 Eric received their Bachelor's Degree in Computer Science (Honours) with specialization in Artificial Intelligence from the University of Manitoba. Eric architects and develops improvements to Invenia's data processing and machine learning pipeline while pushing for a faster, more capable EIS. 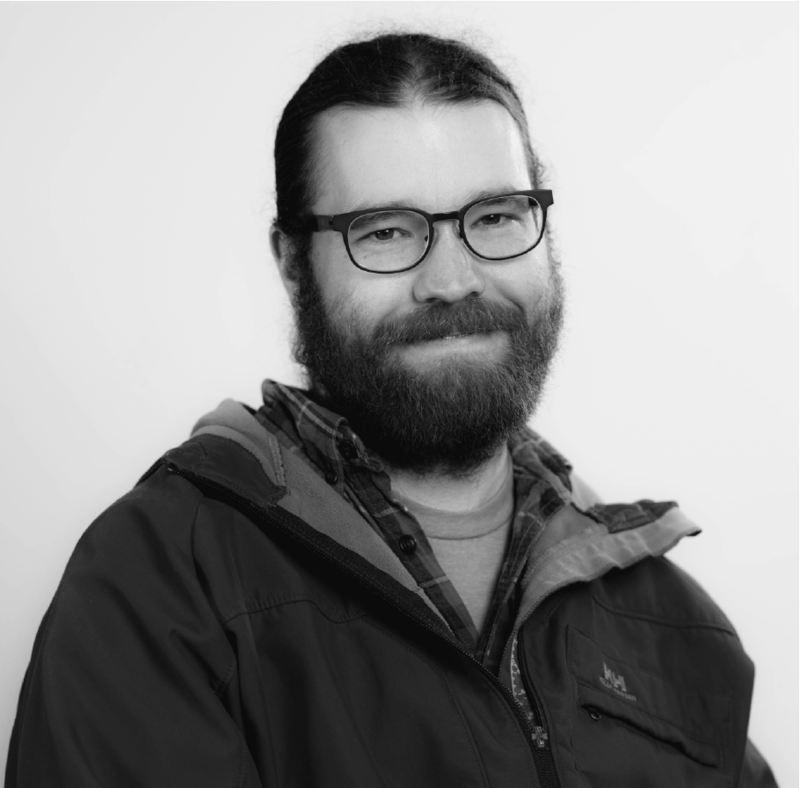 Eric also contributes to the Julia community and helps lead the charge for new technologies at Invenia. 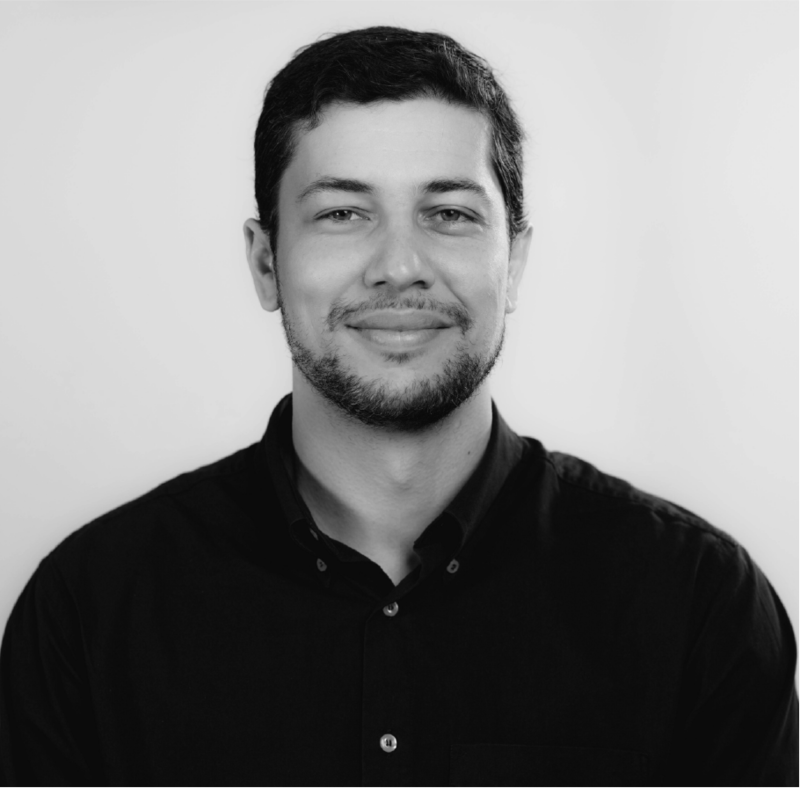 Eric received his PhD in Physics from the University of Campinas, where he worked on Nanotechnology problems using Computational Physical-Chemistry techniques. He then moved to Duke University where he worked on High-Throughput Materials Science methods before joining Invenia. Fernando is a huge fan of trying to make things easier and more efficient for all peoples and systems. 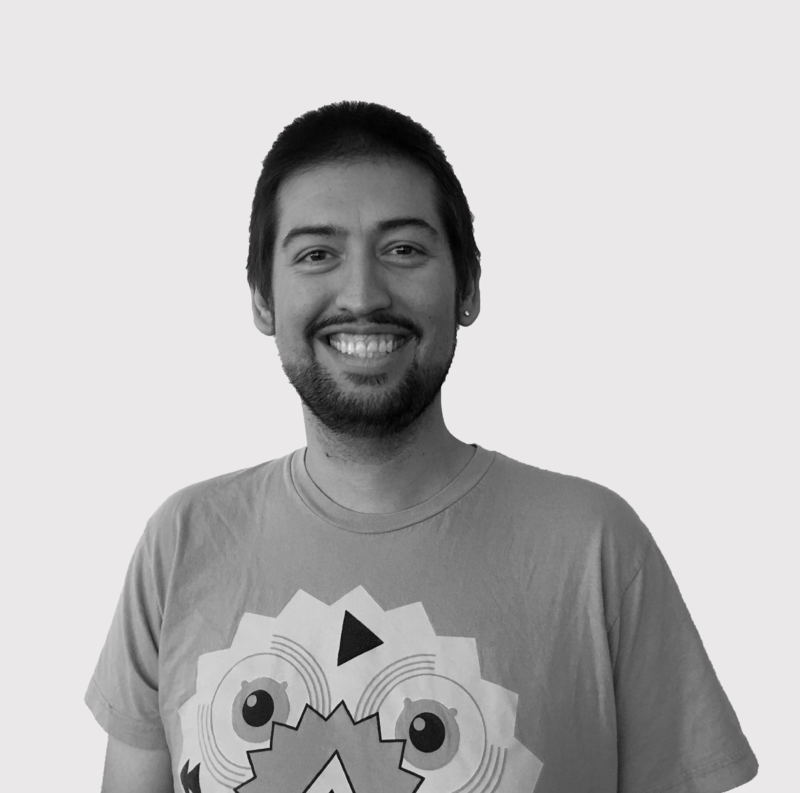 When he’s not messing with his Linux servers at home, Fernando likes to cook, make music, play games, or work on learning new skills. 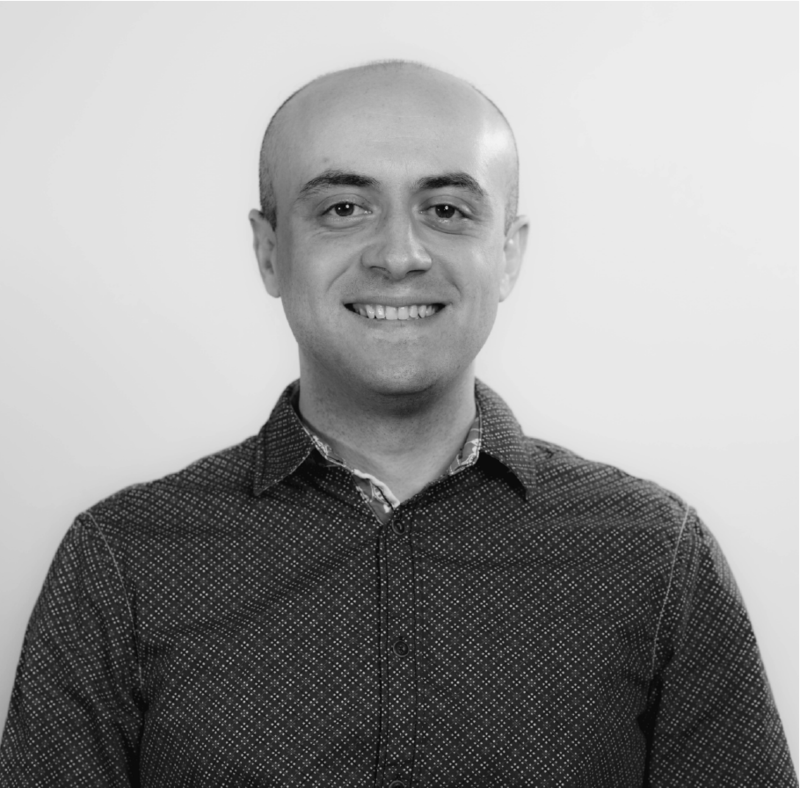 Francesco's research focuses on statistical physics and complex systems, in particular complex networks, memristive circuits, econophysics and agent-based modelling. He is a theoretical physicist, interested in quantum and classical systems and the application of techniques of statistical physics and complexity to other disciplines such as economics, engineering and finance. He has been a Senior Researcher at Invenia Labs in Cambridge and a researcher at the London Institute for Mathematical Sciences, before moving as an Oppenheimer Fellow to Los Alamos National Laboratory. Glenn Moynihan is native of county Cork in Ireland but upped sticks to study Theoretical Physics at Trinity College Dublin where he received his Bachelors in 2013 and his PhD in 2018. His research focused on improving the accuracy and scope of linear-scaling density-functional theory applied to large-scale calculations of materials exhibiting strongly-correlated electrons. 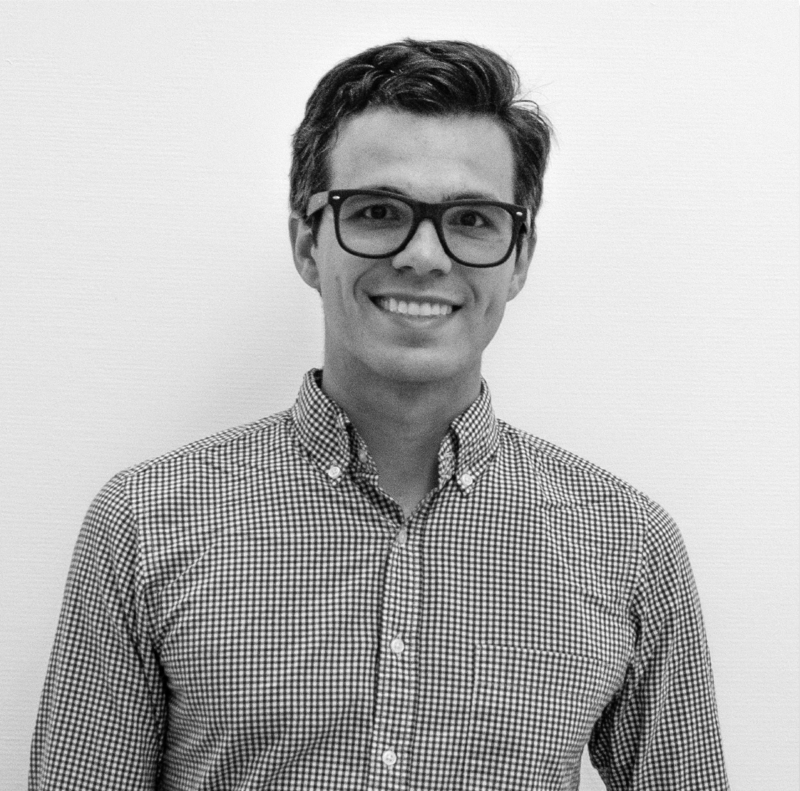 After completing a law degree Joao went into business through a variety of roles, ultimately completing an MBA at the University of Cambridge. His previous background includes managing all aspects of a restaurant chain, brand strategy consultancy, and leadership development. 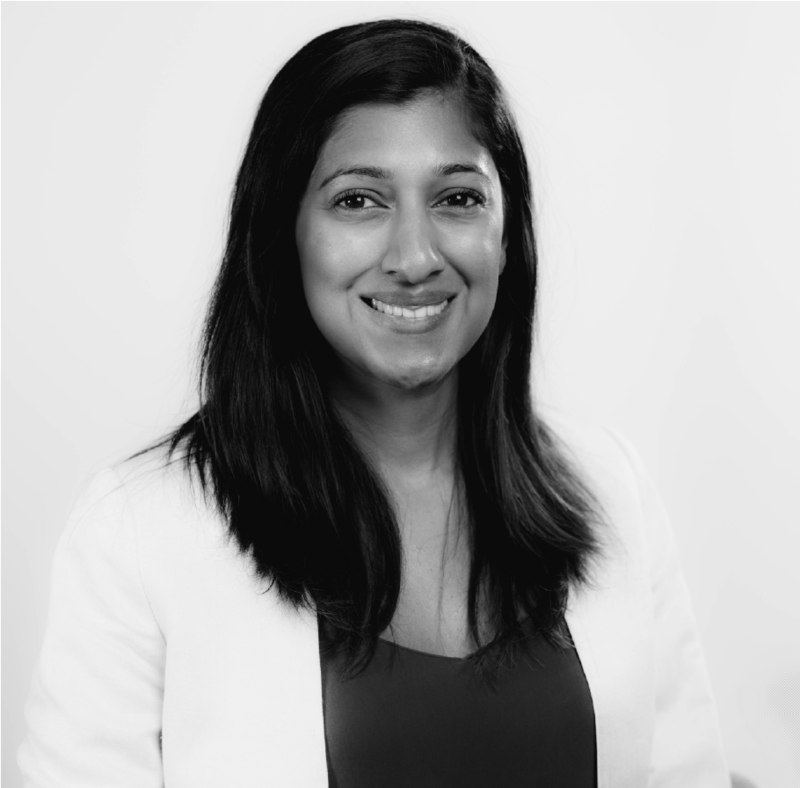 Born and raised in Winnipeg, Kajal has moved around quite a bit having had the opportunity to live in Singapore, Ottawa and Toronto before eventually permanently settling back in Winnipeg. As a designated CPA, Kajal has worked in accounting, loan portfolio management, business development and recruitment. She will also be working toward her Human Resource Management Certification over the next 12 months. I received my PhD in computational chemistry from ELTE University, Hungary, where I was working on the methodological improvement of hybrid QM/MM approaches and free energy computations for complex systems. 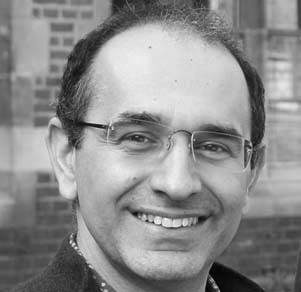 At University of Cambridge and later at University of Warwick I developed an efficient sampling technique in combination with Gaussian process regression, introduced a protocol for constructing high dimensional quantum surfaces of organic molecules using machine learning and developed universal preconditioners to enhance the performance of optimisation techniques. Mahdi Jamei received the B.Sc. degree in Science and Technology in 2013, M.Sc. in Electrical and Computer Engineering from Florida International University (FIU), Miami, FL in 2014 and Ph.D. in Electrical and Computer Engineering from Arizona State University (ASU), Tempe, AZ in 2018. His research interests lie primarily in developing computational analytic tools for power system employing mathematical and signal processing techniques. He has been studying the security challenges of interdependent critical infrastructures mainly power, cyber and gas networks over the past few years. Mary Jo graduated with a BSc in Genetics before realizing her true passion for Computer Science. 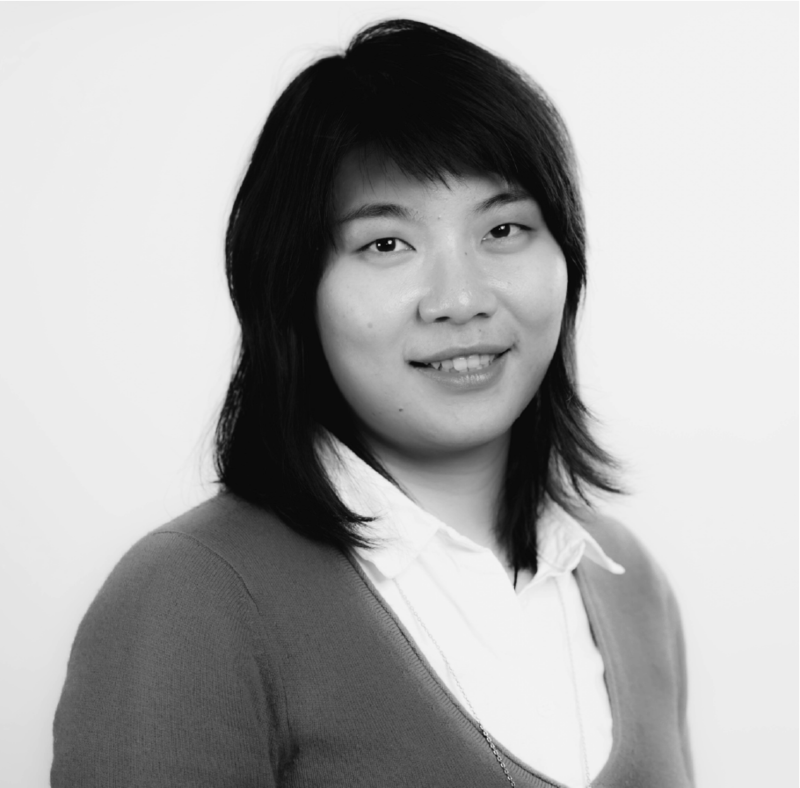 Prior to joining Invenia, she gained experience in Web Development and Bioinformatics. In her spare time, she loves to explore restaurants and shops around the city, discover the latest in technology and fashion, and play the Sims. While working on his Master's degree, Mike developed a robotics system for maintaining formation movement with varying numbers of robots without the use of a centralized controller. His teams have won awards at numerous international robotics competitions. At Invenia, he focuses on the analysis and exploration of nodal and spot electricity markets. 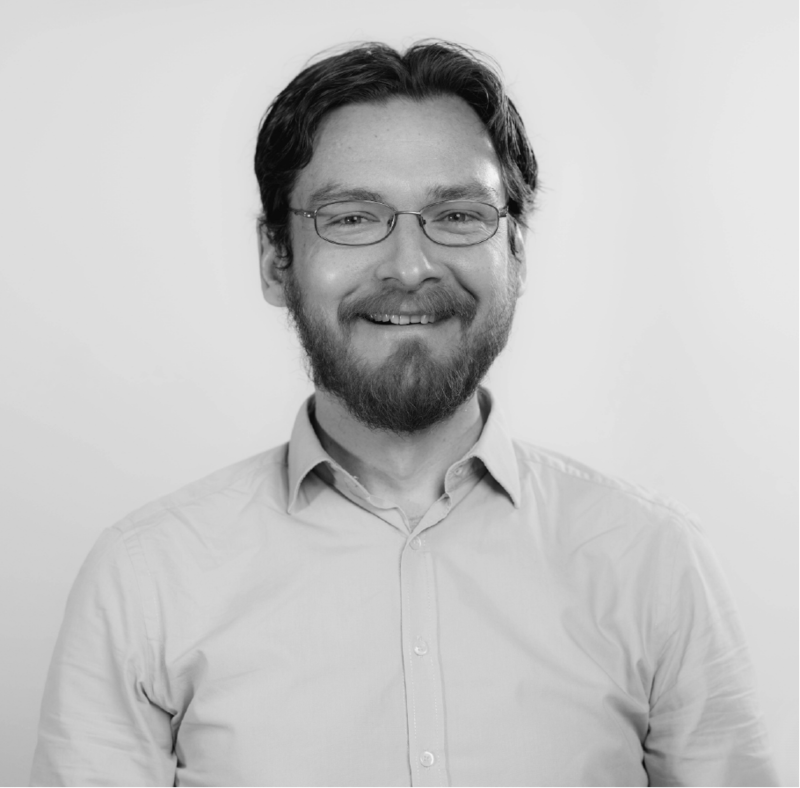 Nick recently completed a masters in AI at Edinburgh University, having previously studied analytic philosophy at Cambridge. 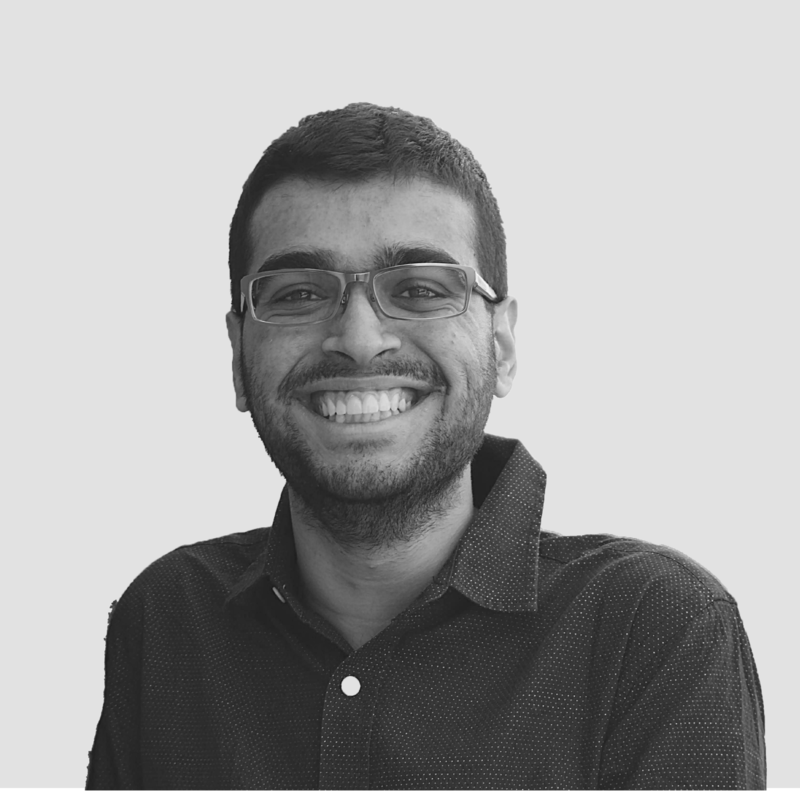 In between, he worked at ASI building machine learning models for all sorts of different companies. Nicole graduated from the University of Manitoba with a Computer Science degree specializing in Theoretical Computer Science, Networks and Security, and Web-Based Systems. She also completed a minor in Chemistry. 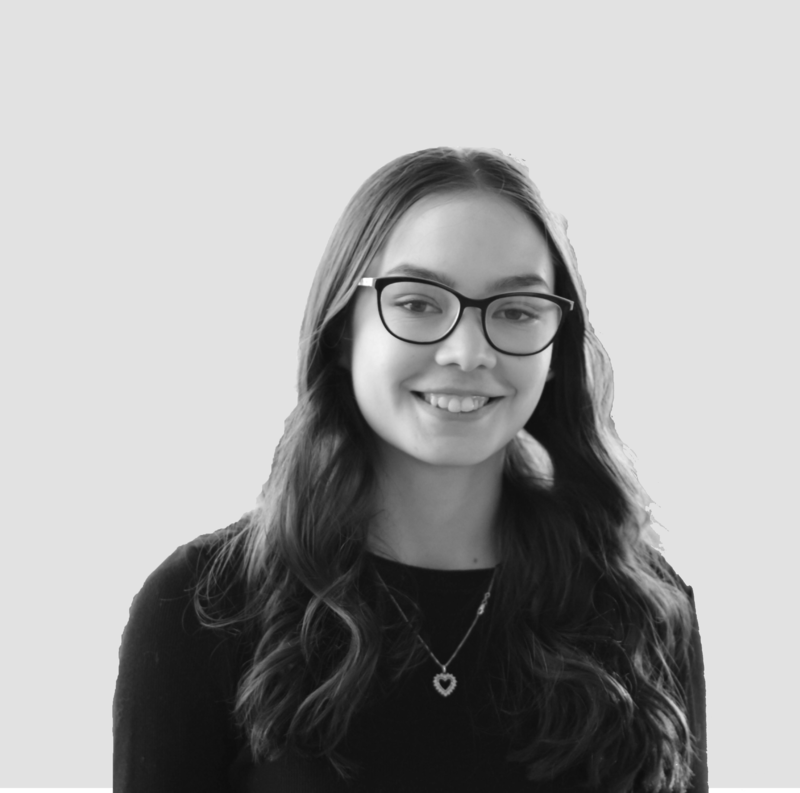 Nicole worked at Invenia for two co-op student work terms before joining full time in 2018. 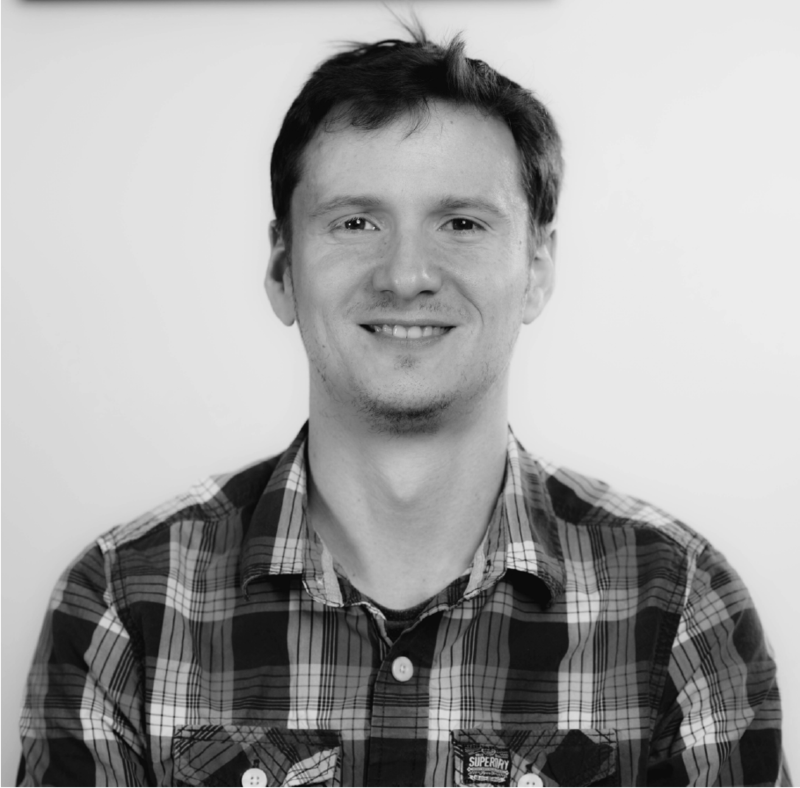 After completing BSc in computer science, Nick came to Invenia to work on building and maintaining machine learning systems and simulations. During his spare time, he can be found either developing, playing, or discussing games of all sorts. Raquel is a computer science honours student in her third year at the University of Manitoba. She has performed two summers of Undergraduate Research in the Human-Computer Interaction Lab before starting her work term at Invenia. During her research terms she worked on several projects, one of which she was the main author on and got published at the 14th annual International HRI conference. Outside of computer science Raquel enjoys playing Ultimate Frisbee! 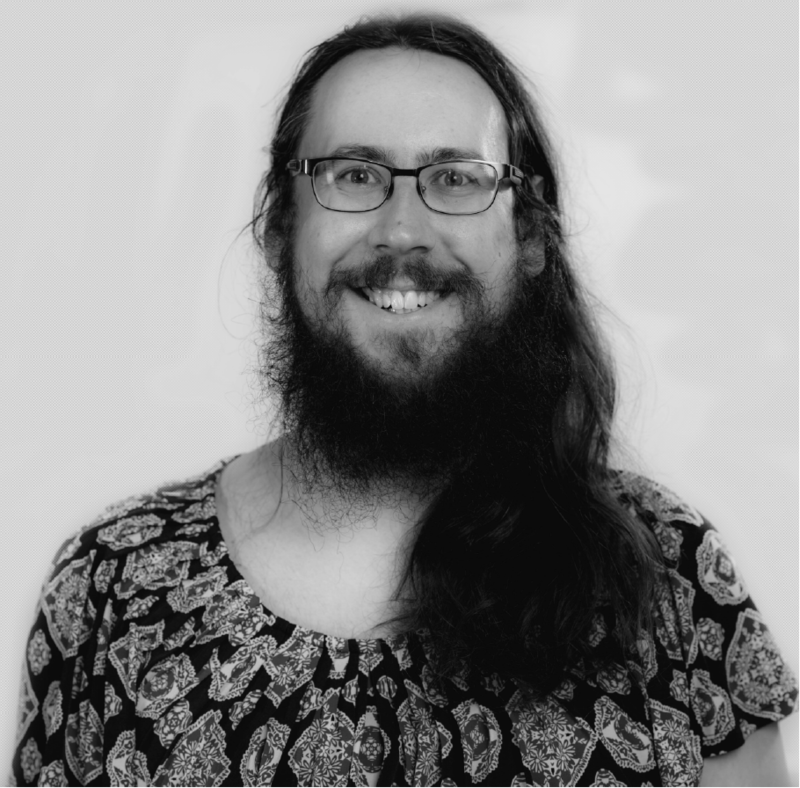 Rory Finnegan joined Invenia as a Computer Science Co-op and Linux enthusiast with a background in Bioinformatics and Human Computer Interactions. Rory is currently completing a graduate degree in Computational Neuroscience. Sam has recently finished her Bachelor of Computer Science (Honours) degree at the University of Manitoba. When not at work or studying, she can be found tending plants, watching science fiction shows, and attempting to learn useless skills. Sam is a recent graduate from the University of Manitoba with a Bachelor of Computer Science. He started at Invenia as a co-op during the summer of 2015 and started working full time beginning in December of that year. He has been involved in a number of projects ranging from development to researching. 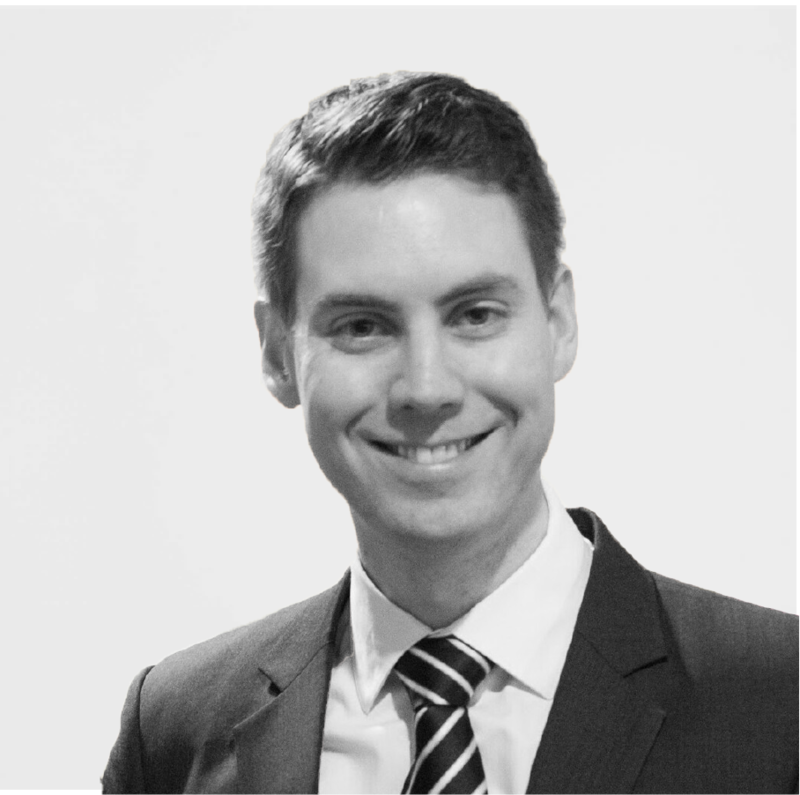 Steve is a CPA, CA who has worked at Deloitte, Great-West Life and most recently, as the Corporate Controller for the International Institute for Sustainable Development. He strives for continuous improvement and enjoys problem-solving collaboratively. 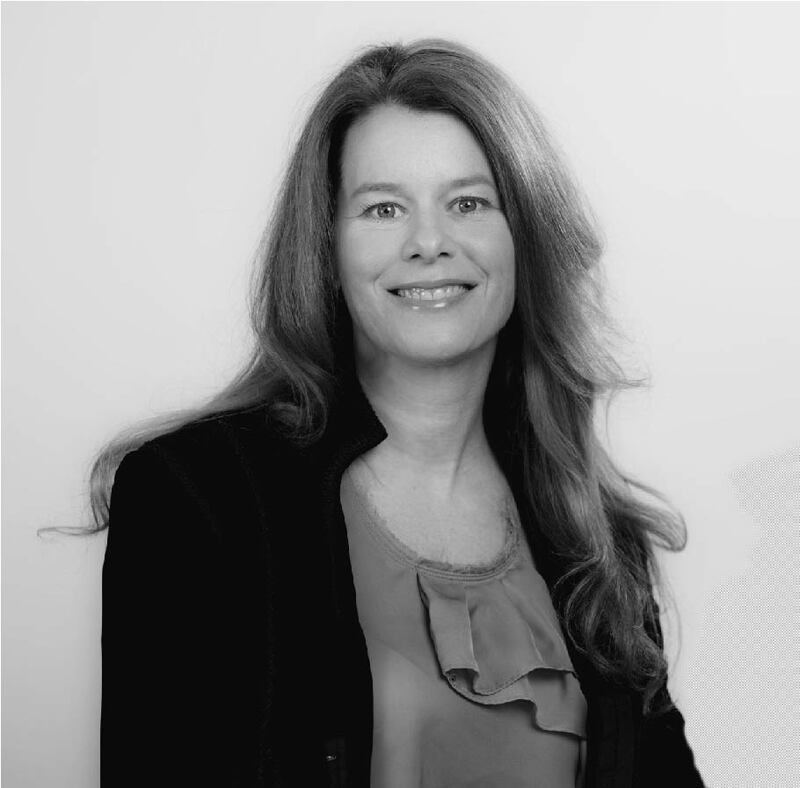 Sascha is a senior executive with a track record of developing and implementing strategies to drive revenues and service delivery within start-up and blue-chip businesses. He comes with extensive international experience, key expertise includes: designing enterprise architecture, delivering operational capability across people, processes and technology; leading business development activity and contract negotiations to generate £multi-million revenue streams; leading multiple teams within both matrix and direct management environments; and managing relationships at CxO level with clients, suppliers and strategic partners. 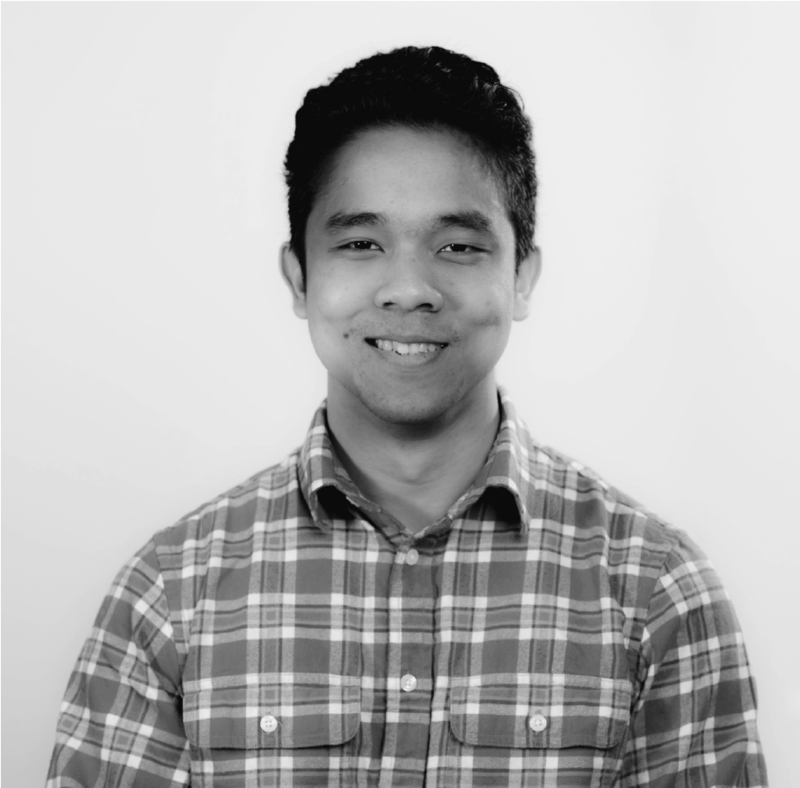 I’m from Malaysia and I’m currently in the 3rd year of my CS degree at the University of Manitoba. This is my first internship as a junior developer and I am working with the data feeds team building Invenia’s data gathering framework. I drum a little in my spare time, work on mobile apps on the side, and I am always down to explore new places. active and enjoy cooking nutritionally. She volunteers at CrossFit competitions, Winnipeg Triathlon Club, her son’s school and Winnipeg Fire Department. 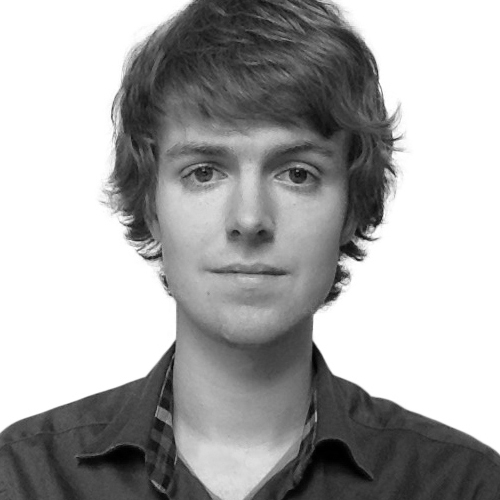 Wessel is currently a PhD student at the University of Cambridge. He holds an MPhil in Machine Learning, Speech, and Language Technology also from the University of Cambridge. At Invenia, Wessel conducts research in the field of machine learning and investigates applications thereof. Research interests include probabilistic modelling, Bayesian nonparametrics, approximate inference, and signal processing. 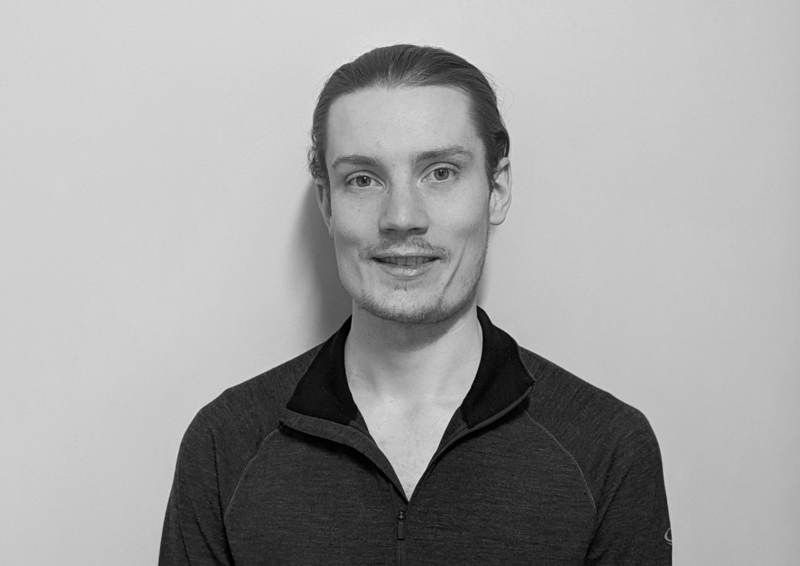 Will is currently a PhD student at the University of Cambridge, and occasionally advises on specific Machine Learning related matters at Invenia Labs. When not working he can be found playing the guitar, or listening to people play it well. 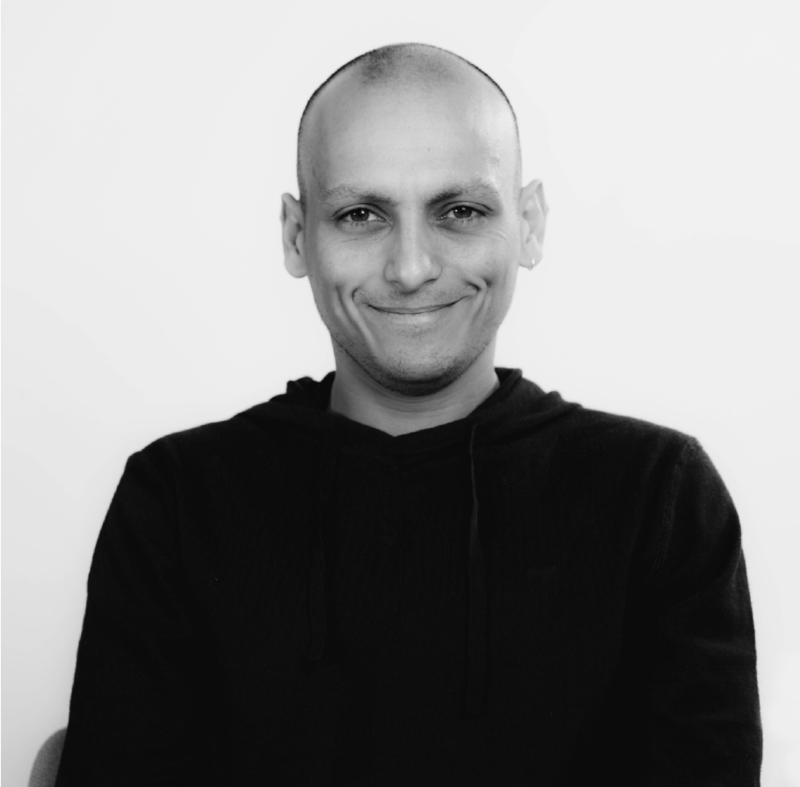 Zoubin works with Invenia as an advisor. He is also a professor of Information Engineering at the University of Cambridge, where he leads the Machine Learning Group consisting of about 30 researchers, and the Cambridge Liaison Director of the Alan Turing Institute, the UK's national institute for Data Science. His academic career includes concurrent appointments as one of the founding members of the Gatsby Computational Neuroscience Unit in London, and as a faculty member of CMU's Machine Learning Department for over 10 years. 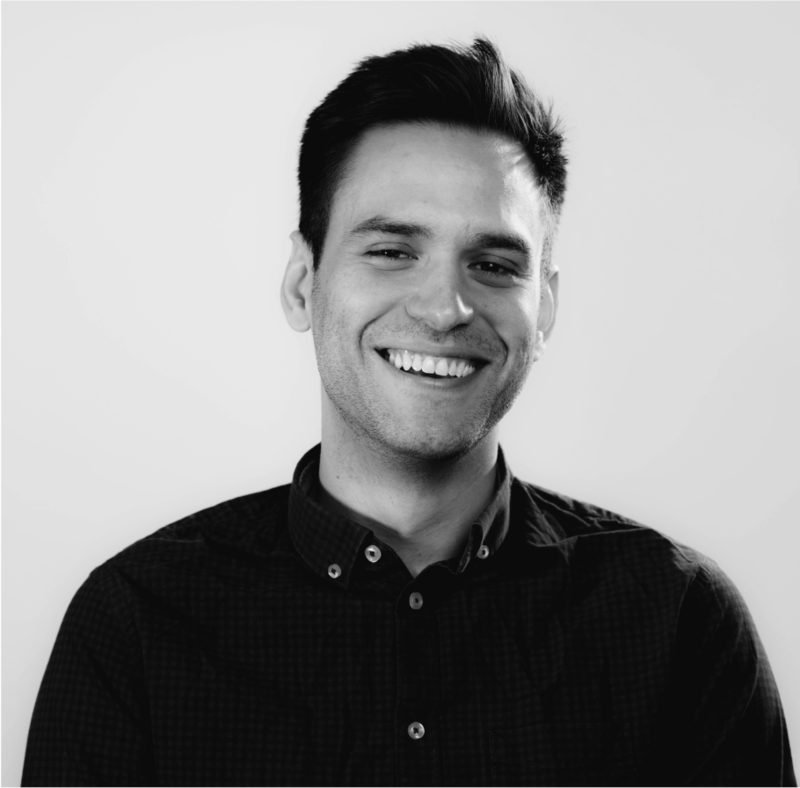 His current research interests include statistical machine learning, Bayesian non-parametrics, scalable inference, probabilistic programming, and building an automatic statistician. He has published over 250 papers, receiving over 30,000 citations (an h-index of 74). Being a part of the Invenia Labs team presents an opportunity to work with and learn from amazing people with expertise in machine learning, theoretical physics, mathematics, complex systems, and computer science while contributing to research that has a positive impact on our society and the environment. We find great purpose in our ability to change the world for the better. It's what drives us to to work hard and continuously improve. If our vision resonates with you and you are interested in joining us, please visit our career page at www.joininvenia.com to apply. Our projects using Julia, Python and MATLAB languages. 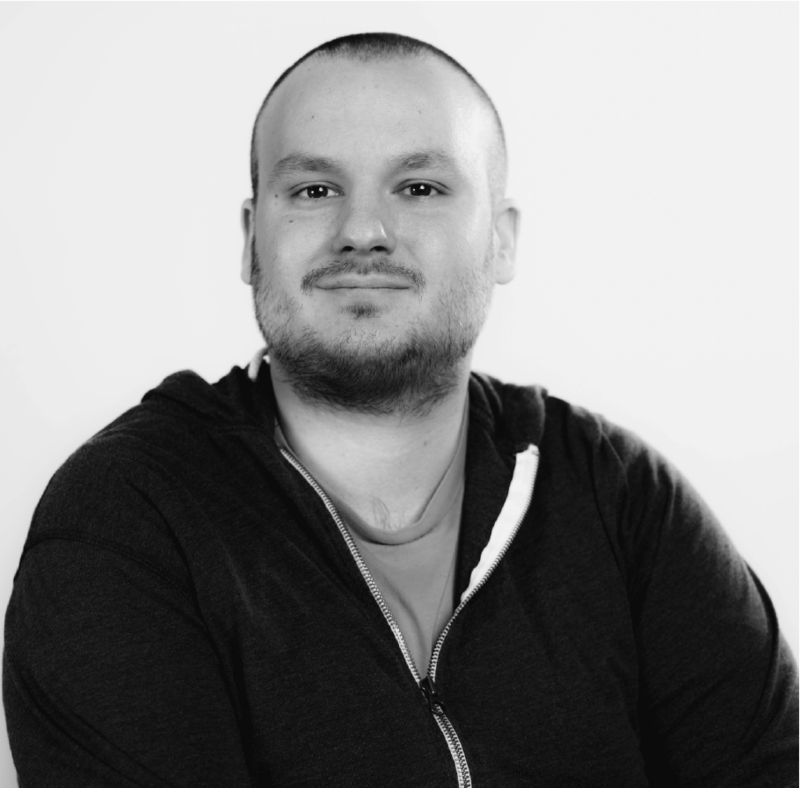 A type based approach to working with filesystem paths in julia. Julia library for handling holidays. 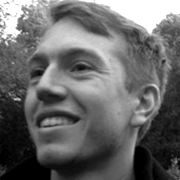 A concurrent task-runner that automatically resolves dependency issues. A julia package for bayesian optimization of black box functions. A julialang environment builder (like python's virtualenv). A Result type for Julia—it's like Nullables for Exceptions. Julia Futures which are initialized when written to. Allows Julia function calls to be temporarily overloaded for purpose of testing.